That may be the most understated post title of all time. But yes the Red Sox came back from a 5-0 deficit to pull out Game Two 6-5 after dropping the opener to the Tigers 1-0. A few thoughts on some of what's transpired and a look ahead. * Look, not getting your only hit until the ninth inning in Game One and being no-hit again into the sixth the next night does not look good on the resume. But I think you have to tip your cap to the Tigers' starters, Anibal Sanchez and Max Scherzer. After all, they are the AL ERA king and soon to be Cy Young Award winner for 2013, respectively. It is not as if the 4th and 5th starters for the Astros were blanking your team on consecutive nights. And after the mountain of K's, the Sox go to Detroit even in the series. * As good as the Detroit starters are, their bullpen is just as suspect. First, in Game One the Sox got into that pen by the seventh, and it has to be considered a missed opportunity not to have beaten that bullpen when two runs would have done it. In Game Two, the Red Sox jumped on the Tigers relievers as soon as they came into the game, and their so called ace, Joaquin Benoit served up the grand slam to David Ortiz to tie the game, and perhaps turn the entire series around. How can any of the relief corps for the Tigers have any confidence going forward. * Lost somewhat in the dominant Detroit starting pitching in both games, was the equally dominant Game One start of Jon Lester. Lester pitched well and pitched deep into the game. About the only pitch he got up, was hit for the RBI single by Jhonny Peralta. For the first five innings of Game Two, Clay Buchholz looked like he was going to match Lester. A rocky sixth where Clay gave up 4 runs including bombs to Miguel Cabrera and the mediocre Alex Avila put the Sox season at risk. But there was hopeful signs in Clay's first five innings that he can dial it up again for Game Six and go deeper with better results. If not, John Farrell, who seemed slow on the switch to pull Buchholz will need to be more prompt. * In Game One the Red Sox seemed to be on the verge on stealing the opener in the ninth. With Daniel Nava's one out single and the insertion of pinch runner Quentin Berry, the table seemed set. But inexplicably, Berry stayed at first during Stephen Drew's AB, and denied a chance to single Berry in, Drew flied out to deep right. Xander Bogaerts was up with two outs and Berry did steal second, giving the kid a chance to tie or win the game. Against closer Benoit, Bogaerts worked the count full and then came within a fraction of an inch of the winning two run home run. That may sound melodramatic, but when Xander popped out to Jose Iglesias, but the ball took forever to come down because it went about 400 feet in the air. Any big league hitter will tell you when you "square up" the baseball it will go a long ways. But when you hit it a fraction of an inch off square, towering popups result. THAT close, to the first great chapter in the Xander Bogaerts Story. 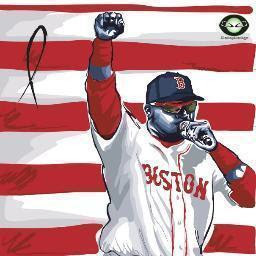 * Of course, we did get the NEXT chapter of the David Ortiz Story, one of the longer running Boston success stories of all time. Was there any doubt Big Papi was going to do damage with the bases loaded versus Benoit. As a typical nervous Red Sox fan who "enjoys" a grinding stomach for the entire postseason, I watched Ortiz come to plate and an odd thing happened: I was completely and totally calm. Now maybe if the count had gone to 1-2 or so, the nerves would have returned, but by smashing the first pitch into the Sox bullpen all was good. * A typical Koji Uehara quick 1-2-3 top of the ninth, gave the Sox a chance to end it and they quickly did that behind singles by Gomes and Salty with an Iglesias throwing error and wild pitch in between the singles. This game turned on two things this Red Sox team has had bushels of : grand slams and walk off wins. * Two unsung heroes in Game Two were Brandon Workman and Felix Doubront. Combined they pitched 2 1/3 scoreless innings with only a harmless walk allowed by each. They kept the Tigers at 5 runs from Buchholz to Koji. The Red Sox do not win this game, if either or both of these guys melt down. * Now the series swings to Motown and we may learn right off the bat how much if any the momentum has swung. Justin Verlander awaits the Red Sox and he has been red hot allowing no runs in his last four starts ( two each in the regular and post seasons). However, this nugget was thrown out by Lou Merloni this weekend. In those four games that Verlander has allowed no runs the Tigers are 1-3! The only win being the Game Five decision over Oakland. So even if Verlander is on again( and after four scoreless efforts isn't he due for some regression??) the Tigers can be beaten. * I like all three of the scheduled starters in Detroit for the Red Sox. John Lackey in Game Three is a long time big game post season veteran. Jake Peavy pitched a tremendous game to help clinch the Rays series. Jon Lester will attempt to recreate his Game One excellence. I predict by series end, the Sox starters have a lower ERA than the Tigers. * I will stick with two of my predictions from before the start of the series. I will take Stephen Drew as ALCS MVP ( although, Big Papi has a big lead on him currently, and will be happy to be wrong if one of Drew's teammates win.) Secondly, I took the Sox in six, and I still see that being the final outcome. The Red Sox take two of three in Detroit ( taking the series within the series, the Sox won more series than any other MLB team in 2013.) Then the Sox will return to Fenway Park to win the pennant if front of the home crowd. Even if the Sox cannot crack Verlander in Game Three, I still think they get two of three on the road. * Can't wait for Game Three on Tuesday at 4 pm from Comerica Park. 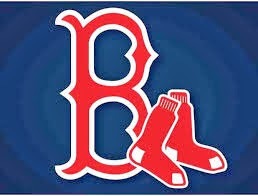 Go Red Sox!